Download the feature list in PDF form here. Can be used with CMUcam4 in Demo mode. 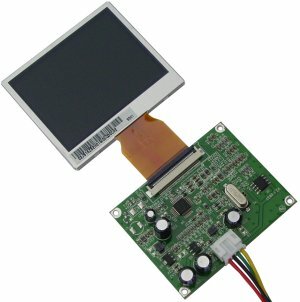 TFT color "OEM" 2.36 "
This small OEM module has a TFT 2.36 "color" OEM "with automatic PAL / NTSC. Designed for integrators, it has a wide power supply range (5 to 12 VDC) and low power consumption (120 mA @ 5 VDC). It consists of a Party "screen" associated with a control board connected by a flexible flat cable. 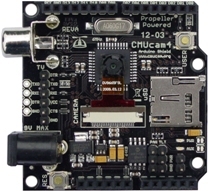 The package includes one CMUCAM4 module and OEM LCD display. It is ready to work with your projects.